PureVPN is an established provider of virtual private network (VPN) services and offers a reliable, speedy and secure Internet tunnel. Signing up for services with the company is simple and they offer great discounts to customers taking out price plans over six months or a year. The seven-day money back guarantee does ease the minds of new customers who may have concerns about signing up for services of this nature. PureVPN offer more than 500 different server country locations to customers, making them one of the largest providers on the market and they also allow customers to use up to five devices simultaneously, which is a great additional feature. The provision of live chat, a useful user forum and comprehensive details and FAQs means customers should not have any worries on problem solving, if issues do arise with the service. Customers can also benefit from the PureVPN Rewards incentive which offers generous credits to any customers promoting the PureVPN service on social media and other platforms. 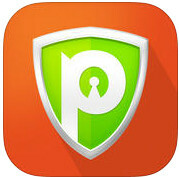 It’s easy to download the PureVPN apps for Internet devices and takes a matter of minutes to get the service set up. It is possible to add PureVPN manually to an iPad and just a case of following the tutorial on the website. Customers wishing to add PPTP protocol need to select “Settings” from their iPad menu and then tap on the “General” option. From the General Screen select “Network” from the right hand side and then choose the “VPN” option. 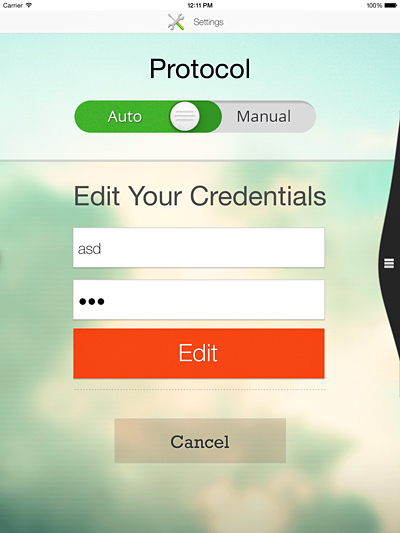 Customers then need to select their configuration by tapping “Add VPN configuration” and creating the PureVPN profile in the configuration box. PPTP needs to be selected at the top of the screen and PurevpnPPTP needs to be input into the “Description” field. Customers then need to add their chosen server location address details, which will need amending each time the customer wishes to switch servers and then input their PureVPN username in the “Account” field together with their chosen password for the PureVPN site. The slider for RSA SecurID should always be flicked to the “Off” position, while the “Send All Traffic” button should be selected at “On”. The customer then needs to tap the blue “Save” button at the top of the screen. When all the iPad VPN configuration details are saved, the device reverts back to the “General” screen and it’s possible to see the details for the PureVPN PPTP profile displayed on the right hand side under the heading VPN Configuration. The VPN slider box above gives customers options to turn on the network and it’s just a case of tapping the “On/Off” button. When “On” is selected the screen displays the current connection status until the connection is live. If all steps above have been followed and the server address, customer username and password have been input correctly there should not be any problem connecting the iPad to the PureVPN service. Customers may find it an easier matter to simply access the Downloads section of the PureVPN site and just download the Apps direct to any device, including iPad. It is a good idea to learn the different ways to manually configure all Internet devices, though, because it enables every consumer to customize the settings and protocols to the desired options. PureVPN provide tutorials for a number of Internet devices on their website and customers will find the instructions simple to follow with useful visuals which indicate the exact location of buttons on devices so there’s absolutely no problems likely to be encountered following the PureVPN setup guides and instructions. Where any PureVPN customer does have a query the LiveChat option on the site is available 24/7 and 365 days of the year so it’s easy to resolve any problems straight away.